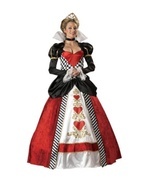 The Alice In Wonderland Mad Hatter costume for women comes with a fitted coat dress that features multiple black and white prints and an oversized button accent. 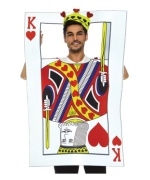 The costume also includes a matching oversized top hat and a white printed bow tie. The costume won't be including any shoes, fishnet stockings, or a wig. 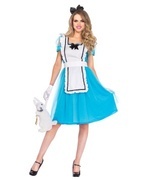 The Alice in Wonderland Mad Hatter costume for women is currently available in these women's sizes: a small/medium (4-8), and a Medium/Large (8-12). 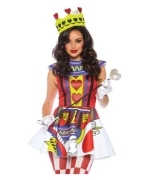 Become the Mad Hatter from Alice in Wonderland with this stylish gothic Mad Hatter costume! 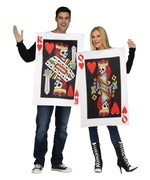 Rock Halloween night with a classy top hat and a nice white printed bow tie! 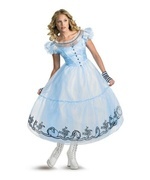 Review(s) for " Alice In Wonderland Mad Hatter Women Costume"